Russian Ivan-Tea. Official website of the manufacturer. Look for details on our site. The teas produced by the Vologda Ivan-Tea company are high-quality, natural and ecologically clean. No artificial flavours, colours, or preservatives added. 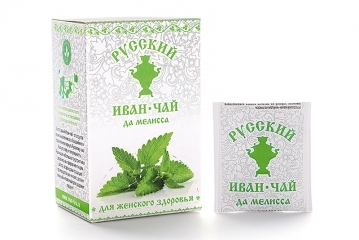 This traditional Russian Ivan-tea is made following a classical recipe using a special fermentation technology. 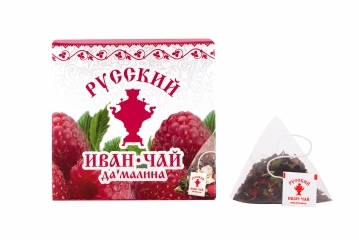 Russian Ivan-Tea with berries, available in pyramid tea bags. Each box from this collection contains 10 bags-pyramids of fine natural tea. Ingredients: fermented Ivan-tea leaves, natural russian berries. We make sure that the product is tasty, high-quality and really useful! 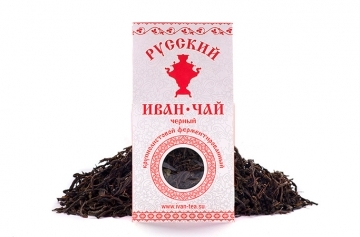 Russian Ivan-Tea Infusion, black tea, available in teabags. Each box from this collection contains 25 sachets of fine tea. Ingredients: fermented ivan-tea leaves. 100% organic. It does not contain any caffeine, and has a positive effect on the human body. Delicious and healthy natural drink. Non GMO, no artificial flavours, colours, or preservatives added. Russian ivan-tea is a traditional tea for Russia, where it is also called Ivan-Tea and is known for more than 7 centuries! According to ancient books, this drink grants bliss, and frees the drinker from evil thoughts and ailments. Thanks to its magical properties, the Russian people have always been honored for their strength, kindness and excellent health! Ivan-Tea grows in the wild and is gathered in Russia, where there is fresh and cool air, crystal clear water, and there are mighty trees and bears around. More and more people today are thinking about healthy food, they are looking for really nutrient-enriched and green products. Ivan-Tea boosts immunity, normalizes blood pressure, and relieves stress. The popularity of Russian Ivan-Tea is growing all over the world, so we are cooperating with large companies that have the rich experience in international trade and established relationships with many customers.